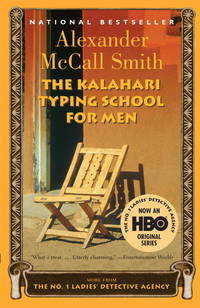 Alexander McCall Smith is a professor of medical law at Edinburgh University. He was born in what is now known as Zimbabwe and taught law at the University of Botswana. He is the author of more than fifty books: novels, stories, children’s books, and specialized titles such as Forensic Aspects of Sheep . He lives in Scotland. Anchor. PAPERBACK. 140003180X Item in good condition. Textbooks may not include supplemental items i.e. CDs, access codes etc... . Good. Anchor. PAPERBACK. 140003180X Item in very good condition! Textbooks may not include supplemental items i.e. CDs, access codes etc... . Very Good. Anchor. Used - Very Good. All orders guaranteed and ship within 24 hours. Your purchase supports More Than Words, a nonprofit job training program for youth, empowering youth to take charge of their lives by taking charge of a business. Anchor. Used - Acceptable. The book is a readable copy showing signs of wear and the pages are intact. The cover may have some creases or minor tears. The dust jacket (if applicable) may be missing. The book may be an ex-library book. The book may contain: a publisher remainder mar some highlighting All orders guaranteed and ship within 24 hours. Your purchase supports More Than Words, a nonprofit job training program for youth, empowering youth to take charge of their lives by taking charge of a business.